Dow Jones Industrial Average News, 6/09/2016: Media members are talking this morning about interest rates and bonds. But what about oil prices, which have been a major driver of the Dow's recent multi-day run? And how will the market react to a stronger than expected weekly jobless claim report? You can find those answers in today's top stock market news, stocks to watch, ways to profit, and economic calendar for June 9, 2016. 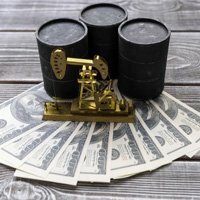 Dow Jones futures projected a 53-point decline as traders took profits off the table in the energy markets and seemed content with WTI prices above $50 per barrel. The downturn came despite news that Americans seeking unemployment benefits were lower than economists had expected. Last week, roughly 264,000 Americans sought benefits, besting expectations by 6,000. Here's a breakdown of why the Dow is pushing lower this morning. And, even more important, be sure to check out Money Morning's list of stocks to buy before the market opens this morning. Gold prices were off slightly thanks to the pre-market downturn of mining stocks. Gold prices were sitting near a three-week high thanks to falling expectations over the timing of the U.S. Federal Reserve's next interest rate hike. The Fed is not expected to make any monetary policy decisions next week as the Brexit vote approaches. July's meeting remains a topic of conversation among traders on the floor and political junkies. On the deal front, another big healthcare merger is on the horizon. Shares of Envision Healthcare Holdings Inc. (NYSE: EVHC) pushed up nearly 8% on news of a pending deal with AmSurg Corp. (Nasdaq: AMSG). These are the two largest companies in the United States in field physician and healthcare services. The expected value of the deal, according to The Wall Street Journal, is roughly $9 billion. Shares of AMSG fell slightly on news of the deal. 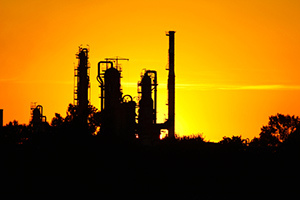 Crude oil prices remained above $50 per barrel despite traders taking profits and running. Investors took money off the table after yesterday's impressive run, fueled by a 3.2 million-barrel drawdown last week in U.S. inventories. WTI prices were down 1.3% this morning, while Brent crude was off 1.3%. The recent rise has been a boon for energy-reliant firms in transportation like CSX Corp. (Nasdaq: CSX) and suppliers in sand like Emerge Energy Services LP (NYSE: EMES), as demand for their services have increased in recent months. On the earnings front, shares of J.M. Smucker Co. (NYSE: SJM) rallied more than 2.6% in pre-market hours after the firm reported earnings per share (EPS) of $1.44. That figure topped analyst expectations by roughly $0.24 thanks to falling coffee commodity prices. The firm also fueled investor optimism by hiking its full-year forecast. It seems like Apple Inc. (Nasdaq: AAPL) is looking for revenue wherever it can find it. In a major change to policy, the firm said it will begin accepting and displaying paid advertising in its mobile application store. The decision is designed to boost both company and application developer revenue. Still, the story that no one is talking about this morning is why it's time to be bullish about AAPL stock. Here's the latest on why Apple offers some of the strongest profit potential on Wall Street today. Look for additional earnings reports from Vail Resorts Inc. (NYSE: MTN), H&R Block Inc. (NYSE: HRB), Korn Ferry International (NYSE: KFY), Mattress Firm Holding Corp. (Nasdaq: MFRM), and ABM Industries Inc. (NYSE: ABM).